10 Holiday Planning Tips | More Crunchy Beach Mama! The Holidays are here! Well maybe not yet, but I’ve been busy planning for the Holidays on the blog so it seems like it is fastly approaching. Yes, I know I haven’t even bought my pumpkins yet. Let’s chat a little on some ideas we have to plan for the upcoming busiest time of year! 1) Plan Ahead! This has been harder and harder for me as life seems to get busier as the years go one but I’m trying to learn that weeks or even months of planning make everything run smoother. 2) Make Lists! I have lists everything! My favorite new type of list is my sticky computer notes that are plastered all over my homepage. I have an online website I use for lists and my iphone has a list going. Lots of lists! Hope I don’t lose focus. Lots of lists! I hope I don’t lose focus with my bookmarked shortcut to partybingo.com lingering nearby to tempt me into procrastination and away from holiday preparedness! Focus! Just starting the list is sometimes the hardest part, then all there is to do is follow it. 3) Buy ahead as you run into deals! I was at Walmart last week and found a couple of toys on Clearance that were perfect for gifts. Wahoo for me! 4) Find your Holiday Decorations! Most of my ornaments and decor are in Red storage containers. This helps as I’m searching for them in my storage mess each year. 5) Think about Holiday Meals! Who will we be eating with this year? At whose house? What will I need to make and prepare. Start finding fun recipes in the magazines coming out. 6) Baking! I let each child decide on a cookie to make. Have them start thinking of what they want and if you need to buy any new supplies – like cake tools or different shaped cookie cutters. 7) Christmas Present Lists! I told my boys the other day that I wanted them to start writing their Santa List. This way when I am out and about I can grab things. 8) If you’re going out of town start those travel plans! Airlines & hotels will be cheaper the further back you are able to book them. Plus you don’t want them to fill up! 9) Deep cleaning! I know I like to thoroughly go through everything before all the new gifts come in. Plus company may be coming over. It’s just a good time to get a good cleaning and organizing in. 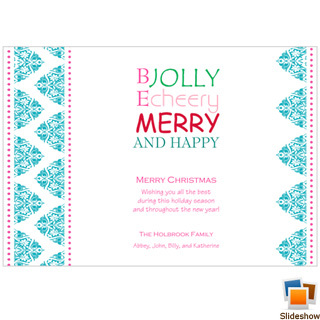 10) Plan your Christmas cards! I love sending out cards every year. I usually mail mine somewhere in the first to mid part of December. I have fun deciding if I’m going to do religious, modern, or the photo type. 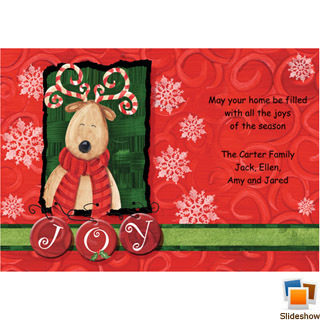 Storkie Christmas Cards has a great variety of stylish cards to pick out! What holiday planning tips do you have?